Today was probably the best day of the year so far – The forecast was for temps in the 70’s and sunny. I couldn’t pass up the opportunity to take advantage of the nice weather. since it is still pretty early in the year, and we have had a wet, cool spring, the problem was finding a trail that was low enough to get to. 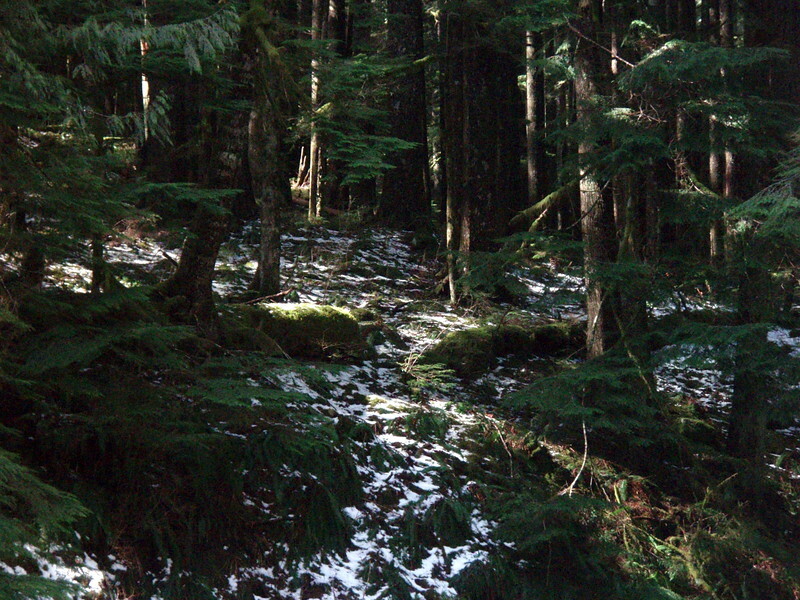 In one of my hiking books, I found a reference to this trail – The “other” Eagle Creek trail – Not the one in the gorge. 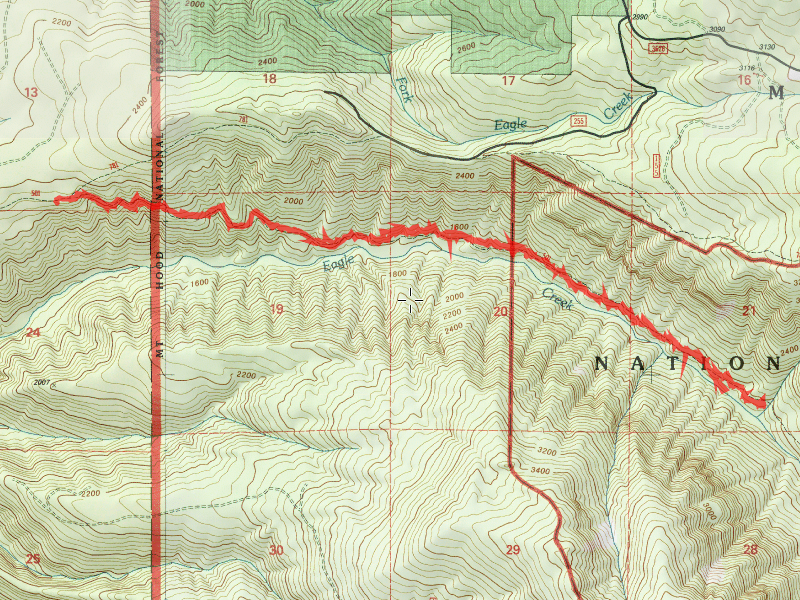 The book accurately detailed how to get to the unmarked trailhead, and also what to expect on the hike. The first mile or so of the hike is nothing to get excited about, since it goes down an old spur road, through a bunch of recently cut forest, and there are really no views or anything to look at. As you get farther down the trail, the better the view gets. At a little over a mile, you start hearing Eagle Creek, but can’t see it. Then the forest starts getting more mature. Finally, you get into some beautiful old growth cedar and hemlock (with a little doug fir), with LOTS of moss and lichen dripping from the trees. As I hiked along, lyrics from the old Beatles tune “Getting Better” kept coming into my head “Its getting better all the time”. The further down the trail I went, the more beautiful it was. The trail moves closer and farther from the creek, but you can always hear it. We crossed several small runoff “creeks” along the way that fed down into the creek. There were a couple of nice camping areas as well. We finally got to an un-named creek crossing, and decided to turn around since the water there was deeper and faster than the other crossings. My feet were also feeling the effects of not being out too much this year yet. This was a glorious day in the woods, on a beautiful, seldom traveled trail. It definitely deserves further exploration…..The trail keeps going another 4 miles or so up the creek. It would make for a good in and out backpack trip, as it connects with several other trails. It reminds me a lot of the Fish Creek area.